This treaty shall only be terminated if either undersigned alliance chooses to exit this treaty or if Article I is found to be violated by a member alliance. If one of the undersigned chooses to terminate this pact, they must give 48 hours notice before the treaty is officially dissolved in which they remain fully bonded to the provisions contained therein. Neither alliance is obliged to partake in assistance in offensive wars, all military or monetary support is strictly to be decided by each sovereign alliance, yet both are encourage to support each other when needed. Any declaration of war upon a member of either signatory is considered an act of aggression to the undersigned signatories. Peace will only be offered through mutual consent of the alliances represented by the undersigned. Diplomatic channels will remain open to ensure that all signatories are aware of any potential threats developing to either alliances' safety. In the event either signatory declares war via activation of a clause from another treaty, and therefore requests the other signatory's assistance after coming under attack, the mandatory defense is then considered optional defense. Both parties agree to share all relevant information of worth. This information shall not be falsified, or changed in any way, to mislead the other party. Such falsifications shall be regarded as a breach of the treaty. No member from one party will declare war or commit any act of espionage on one of the other party members. Such actions will be considered as a breach of this treaty. If either alliance bound to this pact conducts espionage on a non-signing alliance, it is grounds for revocation, but such action may or may not be taken by the other party’s leaders. The Legion and the North Atlantic Treaty Organization hereby recognize that they share common interests in the preservation of peace and in the prosperity of Planet Bob as a whole. The two alliances remain sovereign entities and wish to formalize their current state of friendship with this treaty. 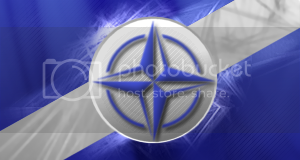 The Legion and the North Atlantic Treaty Organization are both alliances which have been around for quite some time, yet have never held a treaty despite the fact that we have increasingly found ourselves with common allies, and working together towards common goals. Indeed, NATO and the Legion diplomats and government get along famously, and we decided it was finally time to make our friendship official. Last edited by Regent Pancras; 09-29-2011 at 12:55 PM.